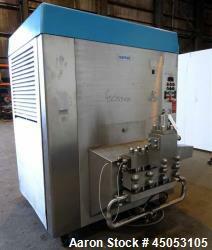 Used- Rannie Homogenizer, Model 50.120H, 2205 Stainless Steel. 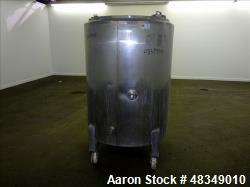 Capacity 7400 Liters per hour (1954.9 Gallon), maximum homogenizing pressure 552 bar (8004.2 psi). Driven by a 200 hp, 460 volt, 885 rpm motor. 5200 Hours on meter. 50mm Plunger, 120mm stroke. Approximate 900 rpm crank speed. Serial # 1.89.235. Built 1989. 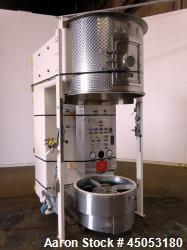 Used- Vector Spray Fluid Bed Dryer, Model FLF-90, Stainless Steel. Approximate 300 Liter chamber. Includes a Kice Cyclone, stand, blower, and miscellaneous parts. Used- Manesty Novapress 37 Station "D" Tooling Tablet Press. Used- Krones 9-Head Rotary Labeler, Model Autocol. 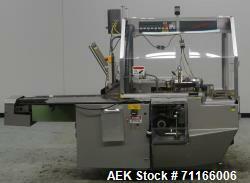 Used- Krones Model Autocol 9-Head Rotary Labeler. Currently set up to run a 10 oz bottle in a solid dosage / pharmaceutical packaging operation. Uses a star wheel to worm screw infeed system. Has touch screen control panel. Includes control panel with an Allen-Bradley SLC 5/03 CPU controller. 22 FLA. 3/60/480V. 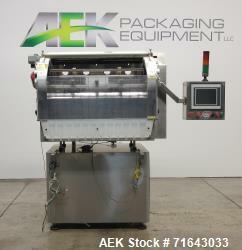 Used- Arpac Model 115-28 Shrink Bundler. Machine is capable of speeds up to 35 bundles per minute. 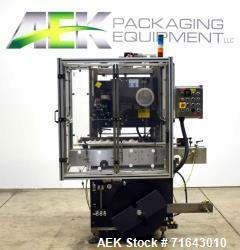 Vertical Z-Flow infeed with product upstacker for cartons. Has a 13" max height clearance. Has 28" max film web, Allen Bradley SLC 5/02 CPU with Spectrum Controls HMI. 24 amp. 3/60/460V. 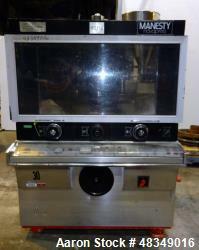 Used- Modular Packaging Systems Model SC-72 Slat Counter. Currently set up to fill approximately 200 bottles a minute based on its 12 drop slat. Stainless Steel. Includes timing screw indexer. Designed to be equipped with 72 slats. Uses BNR Automation PLC controls. Manufactured in 2011.